I read that when you and Rahm Emanuel were faced with the tough decisions you had to make every day, you would joke about opening a t-shirt shack in Hawaii that only sold medium-sized, white t-shirts. So I decided to make it for you. Your t-shirt shack is called Medium White Tee. It’s in Ward Village in Honolulu, and it’ll be open from January 11th until February 9th. In keeping with your vision, it’ll only sell white t-shirts, size medium. You’re welcome to come work there whenever you like. It’ll be staffed by volunteers until you show up for your shift. Your sister Maya thought you might like a t-shirt from your t-shirt shack for Christmas, so I’m sending you Medium White Tee #1. She’ll also be the guest of honor at our opening. I know this might seem silly, but I just wanted to thank you for all you’ve done, and fulfilling this dream you had seemed like a good way to do it. When things got tough, you didn’t leave it all behind to go sell t-shirts in Hawaii, and we’re better off for it. As reported in The New York Times, President Obama and Rahm Emanuel had a joke they’d make when confronting the stresses of running the country: what if they left it all behind and opened a t-shirt shack in Hawaii that sold nothing but white t-shirts, size medium, so they’d never have to make another decision? Medium White Tee has made this fantasy real. 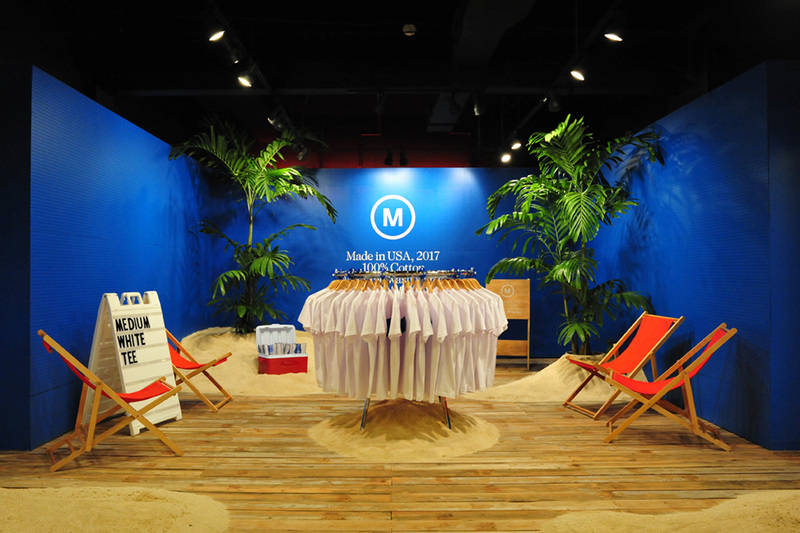 On January 12, Medium White Tee—an actual t-shirt shack that sells only medium-sized white t-shirts—opens in Honolulu, Hawaii. It is offered to Obama as a gift at the completion of his presidency. He has an open invitation to take over running the shop as soon as his term is done. 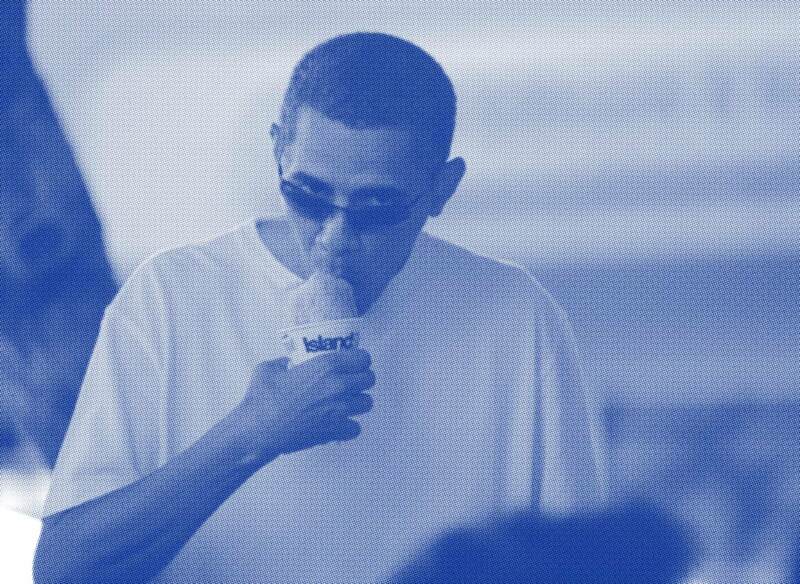 Medium White Tee is a month-long thank you gift to President Obama. More specifically, it’s an expression of gratitude for the considered way he made decisions–and the import he placed on those decisions–while in office. It’s also a space for contemplation and a respite from our own daily decision–making, big or small. Medium White Tee is an installation by Emily Spivack with GRT Architects. T-shirts can be purchased onsite in Honolulu, or online starting January 11. Proceeds from t-shirt sales will be donated to The Bus Federation Civic Fund and Mala ʻAi ʻOpio Youth Community Food Systems Initiative (MA’O). Located ground floor next to Bed Bath & Beyond. Parking available at Ward Centre or across the street at Ward Village Shops. To volunteer for a shift at Medium White Tee, please fill out the form here. 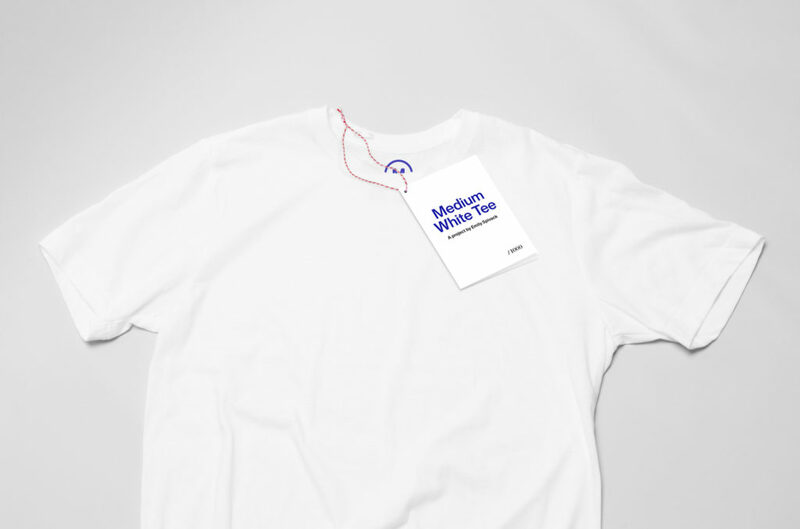 Medium White Tee is an art installation and pop–up shop selling only white t-shirts in size medium, as a fulfillment of President Obama’s reported fantasy. Does President Obama know about Medium White Tee? Yes! President Obama’s sister, Maya Soetoro-Ng, gave her brother Medium White Tee #1 when she saw him over the holidays. Will President Obama work at Medium White Tee? We hope! But we understand he’s a busy guy so we’ll make sure the t-shirt shack is staffed by volunteers in the meantime. Where is the t-shirt shack located? Space for the installation has been donated at the centrally located Ward Village, a pedestrian- friendly shopping mall in Honolulu, Hawaii. Located ground floor next to Bed Bath & Beyond. Parking is available at Ward Centre or across the street at Ward Village Shops. Medium White Tee is an installation by Emily Spivack in collaboration with GRT Architects and with support and assistance from many generous people and companies. Are all of the t-shirts at Medium White Tee size medium? Are they only white? Is anything printed on them? Per Obama’s vision for his t-shirt shack, the t-shirts are medium-sized, plain white t-shirts. Each has a logo printed on the inside of the t-shirt and an accompanying hangtag. Where were the t-shirts made? They are made in the U.S.A. and were donated by Print All Over Me. Can I buy a t-shirt? Are they for sale? Yes! The t-shirts are available at the pop-up installation in Honolulu and on this website. Why are the t-shirts $44? $44 is a nod to the fact that President Obama is the 44th president. Who benefits from the sale of the t-shirts? Proceeds from t-shirt sales will be donated to The Bus Federation Civic Fund and Mala ʻAi ʻOpio Youth Community Food Systems Initiative (MA’O). Because that’s where President Obama envisioned the t-shirt shack. We selected Oahu specifically because that’s the island where Obama was born, went to high school, and spends his vacations. What materials did you use to build Medium White Tee? The majority comes from Re-Use: Hawaii, a non-profit that re-uses and recycles building materials. Some of the materials are actually from President Obama’s old elementary school! How many t-shirts will be sold? A limited edition of 1,000 t-shirts are available. Will you sell anything else at the pop-up T-shirt shack? Only t-shirts! We’ll also have a free takeaway poster to commemorate the project. Can I work at the t-shirt shack? Yes, you can volunteer to work a shift. Please fill out this form to inquire. How long is Medium White Tee open? What are the hours? Medium White Tee runs from January 11–February 9, 2017. Hours are Thursday–Sunday, 12 noon–6 pm. Mala ‘Ai ‘Opio Youth Community Food Systems Initiative (MA‘O) and the Bus Federation Civic Fund. For more information or press inquiries, please get in touch: emily.spivack [AT] gmail [DOT] com. To volunteer at the t-shirt shack, please fill out your availability using this form.